Selecting replacement windows in Tampa Bay can be a daunting task. Most people have used windows all their lives but really don’t know anything about them, how they are made, what makes one window cost twice as much as another, what are the potential problems when replacing windows, and so on. This Replacement Windows Tampa site will help you understand your options. My name is Phil Stone. I started as a salesman selling custom built aluminum windows here in Tampa and St. Pete back in 1990. I have been Executive Vice President of a large vinyl window manufacturing company, operated as a middle-man having my own small window company, sold all styles of hurricane shutters, designed and sold screen and sun room additions, and in 2004 I became a Licensed Realtor selling homes around Tampa Bay. During my 24 years in the replacement window industry I have watched the building codes change dramatically. When hurricane Andrew hit in August of 1996 the era of impact rating began. The requirement for impact rated windows has spread across much of the entire state of Florida. Even where impact rated windows are not mandated there is the requirement for replacement and new construction windows to handle high wind loads without leaking or failing. 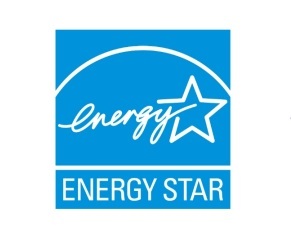 We seem to be entering into a new era where replacement windows in Tampa Bay will be required to meet Energy Star standards so energy efficiency will also be dictated. All these changes are ultimately good for the consumer, but make buying replacement windows in Tampa Bay much more complicated. You’ll also find that many sales people who represent window installation companies have only a little more knowledge than you do, so they make things up as they go along. Replacement Windows Tampa will help you sort through the facts, helping you to make an informed decision. If you would like to speak to me personally about your replacement windows in Tampa, just Click here and email me and I will be delighted to help. That is very interesting; this new trend is becoming quite modish. It is really a nice and helpful piece of information. “23 years in the replacement window industry” Hey Phill, you are a Master in the this business. Home owners should know that picking the wrong product and installer will be a huge mistake since, due to new standard codes, replacing windows are priced very high.